An incredibly engaging and thought-provoking story of one man haunted by the grief of his past. Max’s Diamonds, an excellent new work of fiction by Jay Greenfield, traces the life of a man hiding his past and a traumatic childhood. This is a story filled with secrets, lies, and an overwhelming sense of grief. Five, three, nine, two, seven. Those are the numbers that haunt young Paul Hartman. The numbers are tattooed on the arm of his cousin Max, a concentration-camp survivor. After Paul’s father’s death—for which Paul feels responsible—Max moves into the family home, and the boy can’t get the numbers out of his mind. When Max commits suicide and leaves behind a gift of diamonds that were certainly ill-gotten, the jewels’ use to fund the family’s livelihood and Paul’s education becomes a secret shame that haunts Paul just as his cousin’s tattoo once had. While Paul’s life moves forward with professional success, his personal life is generally a mess, and the history of the blood diamonds, as he thinks of his uncle’s gift, is a shadow of the past he would sooner forget. There was no word to describe it. Before, the gradual peeling away of the world. During, a joyous tension mounting beyond where it could mount any further and then, after mounting still more, exploding into release before exploding again. After, a peace beyond his comprehension. Two people could not have been closer. They were literally joined below the waist in love, flesh of my flesh, bone of my bone, as Adam and Eve had been before they were separated—separated so they could join together again. Greenfield’s work is polished, moves forward at an appropriate pace, and tells a complete and thought-provoking story. Themes of religious persecution, the consequences of lifelong guilt, and the difficulties of familial relationships and relationships created on a base of lies reside beneath the surface of this work, adding complexity as well as beauty. 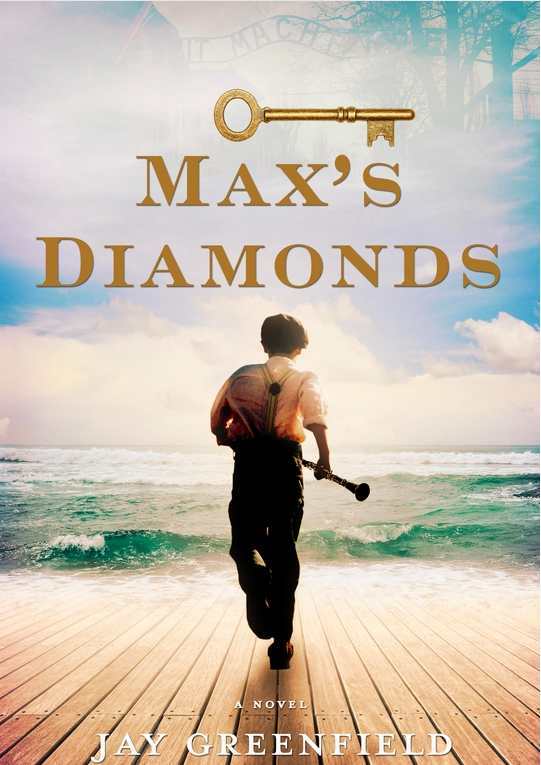 Max’s Diamonds is an engaging and worthwhile read. It’s the perfect book to read on a melancholy, rainy day, and Greenfield’s obvious talent certainly makes him an author to keep an eye on.